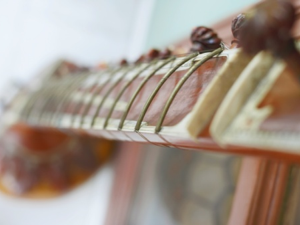 As the name implies we are a sitar learning group based in London UK run by local sitar students. The group was previously known as Sachinda Sitar Academy in honour of the late Sachin Kumar Dasgupta who was the first sitar teacher for the group’s founding members. The Academy is now probably the biggest sitar learning group in London. Dharambir Singh has been teaching at the academy since its formation in 1994. He was a student of the late Ustad Vilayat Khan, and belongs to the same gharana as our previous teacher. We organize regular workshops in addition to our regular classes. Bahauddin Dagar, Shahid Parvez and Ajoy Chakrabarty were recent visiting artists.